The 30-year-old singer expressed his frustration Tuesday after a Twitter user wondered why he was never as successful as Bieber. Carter responded by insisting he "paved the way" for Bieb's career as well as the careers of other pop artists who came after him. "Listen man. I can’t sit here & just not say anything to that. I’ve been in this industry before he was born," Carter wrote. "I've had harder times and always bounce back. No I'm not Justin Bieber I’m Aaron Carter. I’m also in construction 🚧 I paved the way. These kids have NEVER paid me homage." 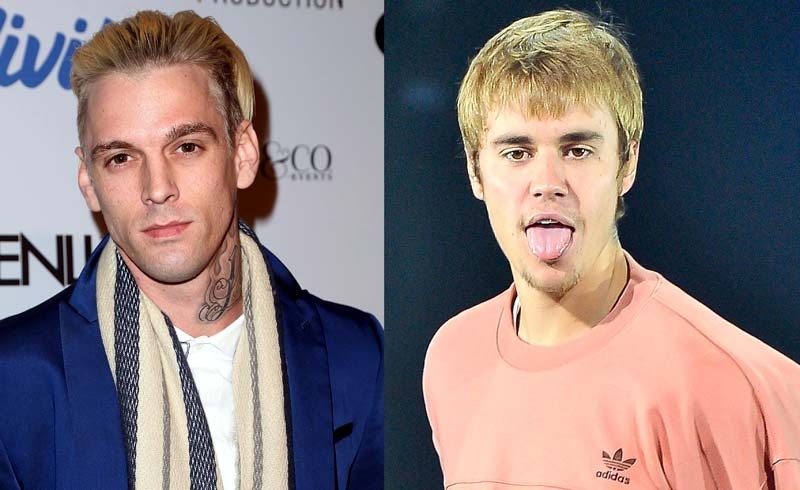 Bieber's response seemed heartless to most fans; however, some were convinced the artist was poking fun at Carter's relevancy with the whole "I had your album when I was little" comment. It seems Carter didn't take it as shade.